So far as we want you to be well informed of the latest events in the gaming world, today we have prepared for you a selection of the most important and interesting this week’s news. Treyarch company has announced that the new Black Ops 2 update for PC is in the works right now and has also suggested that the bonus (weapon camo) for the next part of the popular shooters series, Call of Duty: Ghosts, pre-order may come out for PC in the near future. Sony has presented a new Assassin's Creed 4 video, in which two representatives of the development team have told us more details about the game. Among the most interesting news you can find such as the game release for PS4, the introduction of social feature that will allow connecting the single-player and multiplayer, as well as changing of the combat system in the game. More details about the game’s development, you can find out in our article. A new trailer for the first-person shooter Killzone: Mercenary has appeared in the network. This video shows us not only really impressive footage from Mercenary, ranging from cut scenes to the gameplay, but also introduces us the characters of the game. The developers of Wolfenstein: The New Order, the plot of which is the story of the Second World war's alternative history, have published some interesting screenshots and concept-arts of the project, where you can see weapons, enemies and game’s locations. 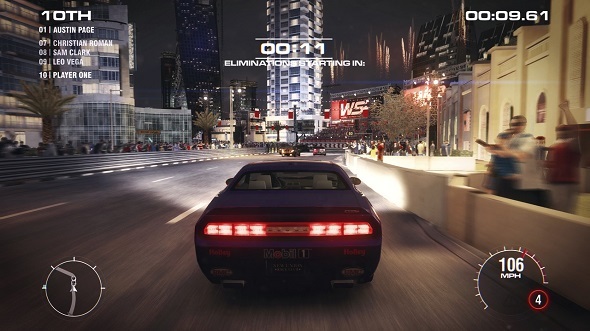 Grid 2 developers, stiring up interest of its fans, has released a new set of screenshots and a third video of this racing simulator. The screenshots provided by Codemasters, demonstrate a variety of racing cars, and the video, dedicated to the championship in Grid 2, shows us many famous Asian tracks and reveals the drift mode in which the player will have to demonstrate the maximum of his skill to get a win. Metro: Last Light, being one of the most anticipated titles this year, is a sequel to the post-apocalyptic shooter Metro 2033. But after its release, many critics have expressed quite differing views, so we decided to make our own judgment about it and write our review about this shooter. We have tried to reveal the advantages and disadvantages of its storyline, atmosphere and a general impression after playing the game. What came out of it, you can find out by reading our review. Batman: Arkham Origins game, that was announced last month, has got its short first video, which shows us several fights of young and unskilled Batman with evil forces. The Incredible Adventures of Van Helsing game, an interesting action-RPG with gothic atmosphere and steampunk world, was accompanied with a new video in which the developers have told us many details about the protagonist, a vampire hunter, his story and the lair, the place of his concealment and protection.